Build a business travel booking app for your travel agency. If you want your travel business to grow or you are planning to create an app for your travel business startup, this blog can help you to dig deep and get the blueprints about your plan of action to build your own business travel app like Lola.com. The technology is gaining popularity in the travel and tourism industry with each passing day. However, the tourism industry is moving towards becoming one of the world’s largest sector with a global economic contribution. The travel and tourism industry has been experiencing steady growth every year across the world. The growth of the travel industry has increased from 528 million in the year 2005 to 1.19 billion in the year 2015. According to Statista, these figures are expected to exceed 1.8 billion by 2030. 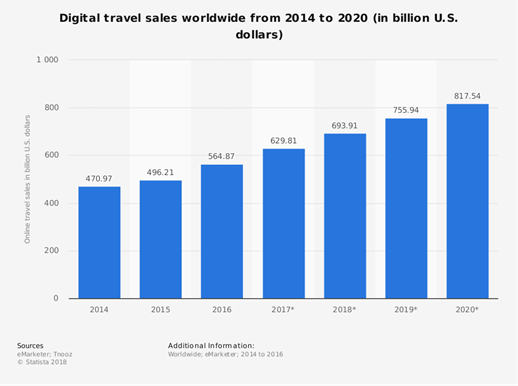 Another report from Statista states that in the year 2016, the economic contribution of the travel industry was recorded more than 7.6 trillion U.S. dollars. According to the Allied Market Research, the global business market trends have been changing every year. In the year 2017, the global business travel market was worth $1,304 billion. It is expected to reach $1,657 billion by 2023, registering a CAGR of 4.1% during the period of the years 2017 to 2023. Corporate customers have always been a huge marketplace for the travel industry. A business travel startup company called Lola.com has contributed trillion-dollars to the travel industry with its innovative approach. 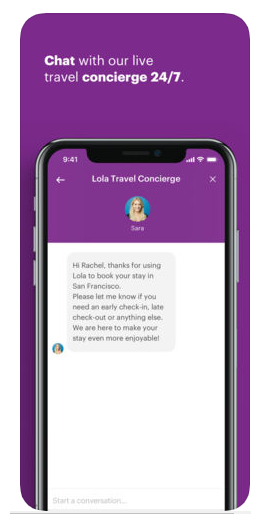 A recent report in CrunchBase states that Lola.com has raised $37 million in Series C round of funding, led by Accel and General Catalyst and has reinvented the scope of business travel app. There was a time when the frequent business travelers felt frustrated due to the complications they used to face during their travel. With the recent innovations in the travel industry, Lola.com came as an idea from the travel innovators Paul M. English and Bill O’ Donnell. It was founded in the year 2015 as a corporate travel management software. The company is based in Boston, Massachusetts. The website operates as a travel agency model which is used for booking services for business and searches information related to hotel and flights. Using Lola.com is fun as it is stress-free and very easy to manage your business travel. There was a time when people struggled with the difficult websites which had restrictive and heavy-handed travel policies. Such type of travel plans used to make the employees overwhelmed about traveling as they had to do every single thing themselves. Lola.com offers a simple and smart way to plan your business travels. It allows the managers to have complete visibility and help them to keep the employees on the same page. So, the company can keep a tab on the expenses during travel and also maintain the guidelines at the same time keep everyone happy. Also Read : How travel booking app helps your travel Business to Grow? Lola.com allows the employees to book hotels and flights as per their convenience avoiding the lock-ins. They are able to collaborate with their teammates and travel without any stress on their shoulders. Lola has its expert consultants available 24/7 to help the travellers whenever and wherever they need them. The prices available at Lola are the same prices that are available if you book directly with the hotels. There is no extra service charge at Lola’s end. Thus, there is no chance of getting robbed with Lola. Lola is all about making the best business travels. This business travel app has a managed travel policy where the traveller’s needs and their company’s requirements are all fulfilled. This is how the business travel app explains the fun for both the travellers and the businesses. The business travel app follows a unique business strategy. The online platform is only for corporate users to book and manage their trips hassle-free. There are a lot of travel booking apps and businesses available in the market. However, to distinguish itself from the crowd, Lola.com follows a unique approach in its endeavors. 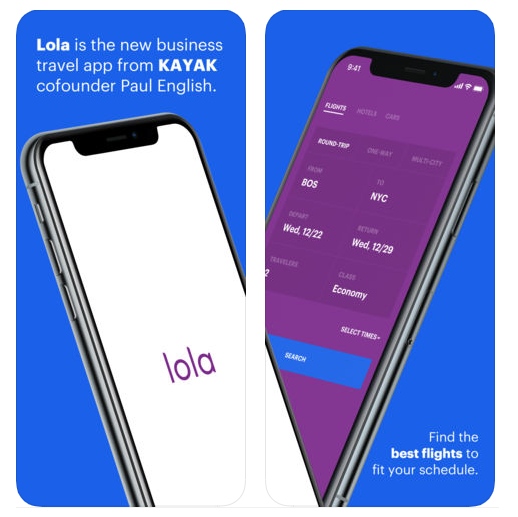 The corporate travel app, Lola.com, works only for business travel and wants to grow with the same in order to tighten its business roots. Also, the business travel app provides solutions for corporate users only. Another strategy that took Lola.com to the next level was finding out the pain points of the target audience. The business-focused travel booking app has tried solving the problems for frequent business travellers. The business travel booking app offers its users a platform which takes the stress away from the life of users and makes the bookings easier than ever for the corporate travellers. This platform removes the middleman involvement like the travel agents to handle and manage the process of booking flights and hotels. It also allows the modifications in cases of flight delays etc. Lola.com offers a smart way to travel over the traditional time-consuming and irritating travel booking options. Opting for this business travel app removes the technical issues faced by the busy corporate travellers and enables them to be more focused on the necessary tasks. The most important strategy while launching any app is knowing the consumers who will be using the app and how to attract them. Having knowledge about your customers and their requirements help to grow any business in very less time. You don’t need to be the Jack of all trades. Like Lola.com, you too can focus on a specific audience to sell your product. As Lola.com is focusing only on corporate travellers, the audience knows which app to look for while they plan their business trip. As a travel startup, there is a wide scope for you if you focus on corporate customers. You can use uniques strategies to make your corporate travel booking business a huge success. While reading the above-mentioned strategies, you might have got some ideas to get your own app like Lola.com. Of course, you can imbibe the about strategies in your own app but there has to be so unique selling point for your app that attracts the audience. 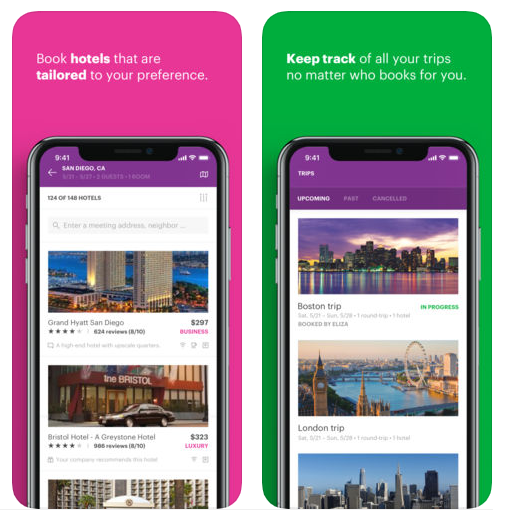 At Coruscate, we can help you to build a unique business travel booking app to make a great impact and reach thousands of business travellers. We have the expertise in building apps that are designed as per the specific requirements of our clients. If you have an idea for building a travel booking app, we can validate your ideas. We have built over 2000 mobile apps for different fields and more than 500 for travel itself. Our expertise will make your app adorn peculiar features which can compete with all other travel apps and have the cross-platform ability, multi-lingual support, push notifications, payment gateway integration, and online support. Connect with us to know further and let us help your travel business to prosper.